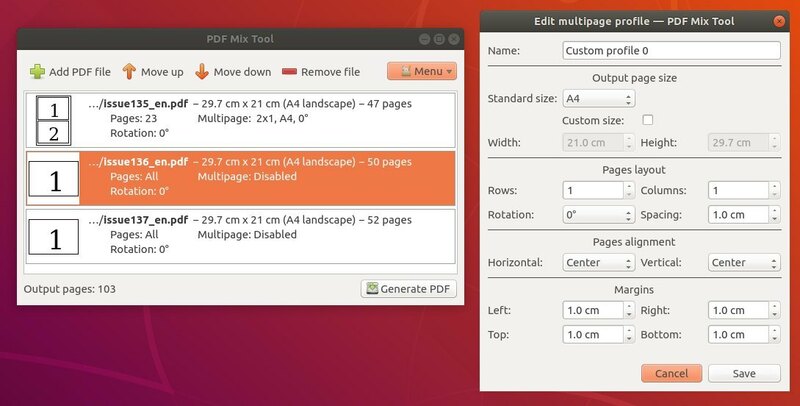 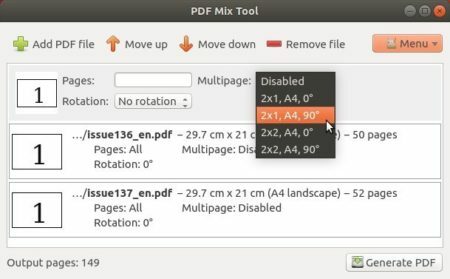 PDF Mix Tool is an open-source and lightweight application allows to split, merge, rotate and mix PDF files. 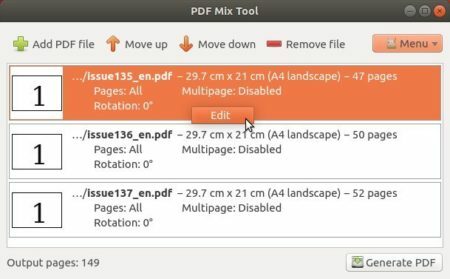 The software is written in C++ and depends only on Qt 5 and PoDoFo. 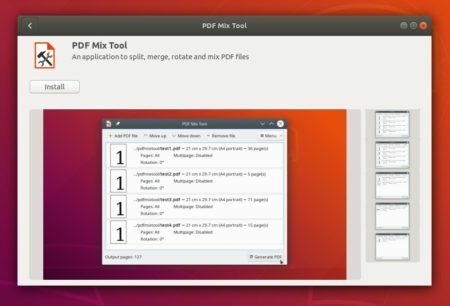 For Ubuntu 16.04, install snapd daemon if previous command does not work.